Thanks to #CollectiveBias and its advertiser for sponsoring this post and motivating me to share my #KleenexStyle. I love gift baskets and how versatile they can be. 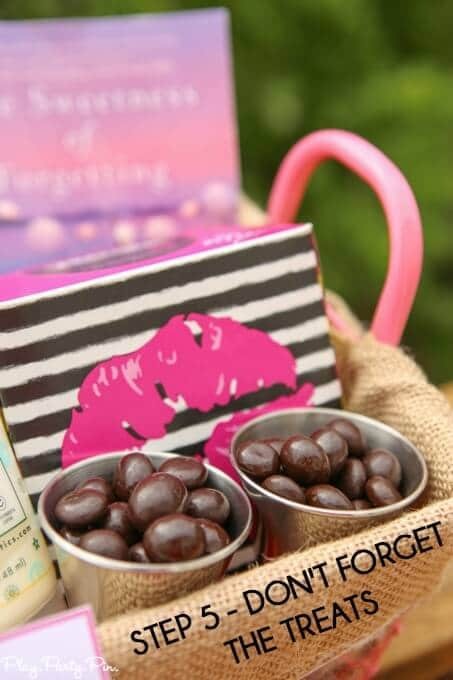 In the past I’ve shared cute gift basket ideas for returned missionaries, college students, and more. And today, I’m sharing my tips for creating the perfect gift baskets and a fun spring cleaning gift basket idea. I don’t know about you but I love gift baskets. I just think it’s really fun to pick a theme and find creative ways to stick with it like in the good luck gift basket I made for my friend before her marathon last year. There’s just something more fun about putting together a bunch of little gifts in a basket than picking out one big gift. And it’s a really fun way to personalize your gift without spending too much money. I pretty much always put my gift baskets together in the same way and am so excited to share how I do it. Step 1 – Pick a theme. This is the most important step out of all because it impacts all of the rest of the steps. For this particular gift basket, I saw these awesome KLEENEX® Betsey Styled Single Packs (74ct.) while I was grocery shopping at Harris Teeter and my theme immediately hit me – a spring cleaning basket, or spring “Kleen-ing” basket if you want to get clever with it. I thought it would be fun to give the basket to one of my friends who had a pretty rough winter and needs a fresh or clean start in the spring. The KLEENEX® Betsey Styled Single Packs (74ct.) are available in a hearts, kiss, and zipper design and if that’s too big for your basket, they also have KLEENEX® Betsey Styled Wallet 3 Packs that are perfect for smaller baskets. I used the design and colors from the kiss package to choose a basket and what to put in it. Step 2 – Choose a container. Notice I didn’t say basket. The beauty of gift baskets is that you can actually use whatever kind of container you want. I’ve used wire baskets, boxes, and bags in the past, and they all work great. Make sure to get a container that’s going to be big enough for how many things you want to fill it with. You don’t want to buy a tiny basket if you know you want to include three items that are big as the basket itself. For my spring cleaning basket, I picked up a pretty pink basket that went along with the bright pink color from the KLEENEX® box. Step 3 – Fill up the majority of the space with large items. Start filling your basket with some bigger items that take up quite a bit of space. These don’t have to be expensive, just things that take up space so the gift basket looks nice and full regardless of how many things you have in it. My bigger items included a water bottle (great for being healthy), my KLEENEX® box, and a book and neck pillow for relaxing. Step 4 – Add small fillers to fill in the blanks. Since you already filled in the majority of the space with big items, now all you need to do is fill in the leftover space with smaller items. 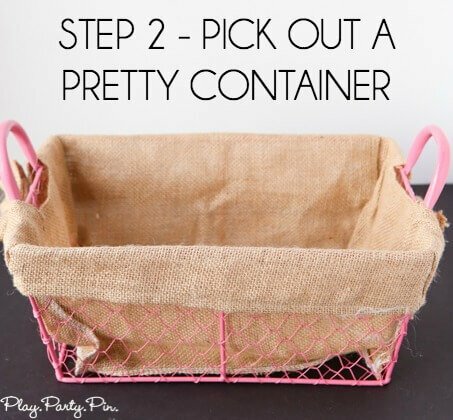 When you look at the basket, you want it to appear to be completely full or overflowing, so pick up small inexpensive things to fill in the leftover space. I added pampering items to mine like a body scrub, nail polish, and foot lotion. Step 5 – Don’t forget the treats. If you are having a problem figuring out what to put in the gift basket or need another item to fill in space, treats are always a good idea unless it’s for someone you know can’t eat treats. I just added some chocolate covered blueberries that I know my friend loves. Step 6 – Add a personalized tag. Don’t assume that the person can read your mind and figure out what you were going for with the gift basket. Add a cute little tag to the basket that tells them your theme whether it be a box of sunshine, a spring cleaning basket, or a good luck basket. It only took me minutes to make these free printable spring cleaning tags that match the KLEENEX® box and they really finish off the basket perfectly. Enter your first name and email address in the form below to get the printable. If the form isn’t showing up below, click here to get to the form to download the printable files. And that’s it, you’ve now put together a gift basket that me or anyone else would love to receive. Keeping these steps in mind, it’s easy to come up with all sorts of creative gift baskets. The spring cleaning theme worked for this basket but I could also have done a fashionista gift basket to go with the zipper design KLEENEX® Betsey Styled Single Pack filled with beauty products, a fashion magazine, and accessories. The possibilities are endless and if you need someone to practice on, I’m happy to receive any and all gift baskets. 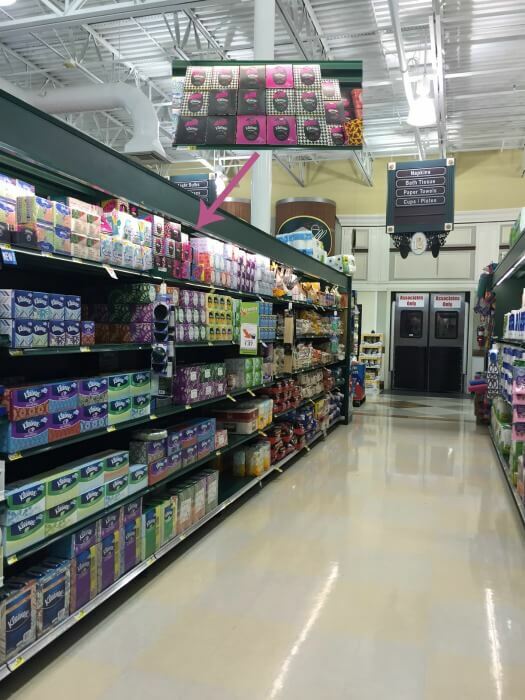 Right now KLEENEX® Betsey Styled Single Packs are available in select Kroger and Kroger banner stores. Purchase two specially marked packages of Kleenex® Tissues in one transaction at Kroger stores and receive a reward code valid for a $5 Visa Digital Rewards Virtual Account via text message between 4/1/15 – 4/30/15. Reward code must be activated by 5/31/15 and is void if not activated by expiration date. Virtual Account expires 2 months from the date of activation and will be void if not used by the expiration date. Virtual Account can be used online wherever Visa debit is accepted for digital content purchase(s) up to $5 and use governed by terms in Accountholder Agreement. Digital content may not be available for all devices. No cash value. Not for resale; void if sold or exchanged. Cannot be replaced if lost or stolen. Not valid with any other offer. Offer and Virtual Account valid only in the U.S., excluding U.S. territories. For full participation instructions, go towww.activaterewards.com/Kleenex. Issued by MetaBank®, Member FDIC, pursuant to a license from Visa U.S.A. Inc. Digital Reward is powered by Fandango Loyalty Solutions, LLC. ©2015 Fandango Loyalty Solutions, LLC. All Rights Reserved. What’s the best gift basket you’ve ever received or given? I love the pink basket! Where did you find it and how much? Kimmy, unfortunately I have no idea where I got it. I got it a few years ago, maybe at Target? It was really nice how you said that the reason why you chose the word “container” is that it doesn’t necessarily have to be a basket because anything will work great as long as they’re big enough. I’ll try sticking to the traditional style and use a handmade tonga basket for my gifts. My friends are huge fanatics of anything rustic looking, so I’ve decided to use that for my Christmas gift baskets. I hope it turns out well. Thanks for sharing this article. It got my brain working. What I would suggest is getting your friend their favorite treat. That would show you care, and pay attention to your friend’s interests and preferences! Thanks for these tips. You have any more tips about gifts that could go in?